The month of November is the time when Americans begin counting down the days to the holidays. You may already be daydreaming about the foods you’ll be eating at the Thanksgiving table, or mapping out your shopping game plan for Black Friday. But now that November has arrived, there is a topic extremely important to your health that you should also be thinking about. 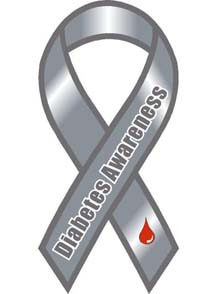 November is National Diabetes Month. Sponsored by the American Diabetes Association, this month-long, national event is meant to raise awareness and understanding of diabetes, as well as educate Americans on how to prevent and manage the disease. So this November, before you dig into your pumpkin pie, it’s important to learn the risk factors of diabetes, as well as proper prevention methods, in order to keep yourself and your family healthy. Below we have listed some facts about diabetes, as well as tips for prevention and management. According to the Centers for Disease Control, 29.1 million people in the United States have diabetes. Type 2 diabetes is the most common form of the disease. In fact, type 2 diabetes makes up 90-95 percent of all diabetes cases. Of those with the disease, it’s estimated that 8.1 million people are undiagnosed, meaning they don’t even realize they are sick. Type 1 diabetes, which only affects about 5-10% of all people with diabetes, is typically diagnosed in children and young adults. Type 1 diabetes occurs when the body does not produce insulin. It is a lifelong disease which can be treated with insulin therapy, exercise and proper nutrition. With type 2 diabetes, your body is still able to produce insulin. However, your body is not able to use insulin properly, causing your blood glucose levels to rise higher than normal. Type 2 diabetes is much more common than type 1, but it is also much more preventable. Once it develops, type 2 diabetes can be treated with insulin injections, oral medication and lifestyle changes. Age - If you are age 45 or over, there is a higher likelihood of developing type 2 diabetes. Family History - If other members of your family suffer from type 2 diabetes, your risk increases. Race or Ethnicity - It has been found that the risk of type 2 diabetes is greater in African-Americans, Hispanics, Asians and Native Americans. Weight - Being overweight is one of the main risk factors for type 2 diabetes. The cells in your body become much more resistant to insulin when you have more fatty tissue. You don’t necessarily have to be overweight, though, to develop type 2 diabetes. Fat Distribution - If your body fat is distributed primarily around your stomach rather than your hips and thighs, you may have a greater risk for type 2 diabetes. Prediabetes - Prediabetes is when your blood sugar is already at high levels, but not high enough to be classified as full-blown diabetes. If left untreated, prediabetes can easily develop into diabetes. While having one or more of these risk factors does not necessarily mean you will develop type 2 diabetes, it’s important that you pay close attention to your health and lifestyle. Maintaining a healthy diet and exercising are crucial steps you need to take in order to prevent diabetes. If you have a number of these risk factors, you may want to consider consulting with your doctor to develop more personalized steps for prevention. Millions of Americans are already living with diabetes. If you are one of them, there is good news: maintaining good health with diabetes is not impossible. However, it is up to you to maintain your day-to-day diabetes care. If you already have type 1 or type 2 diabetes, it is extremely important that you maintain a healthy diet and regular physical activity. It’s also important that you make regular appointments with your doctor, take your medicine as prescribed and continue learning all you can about diabetes and what you can do to keep yourself healthy. If you have any questions or concerns about your risk of developing diabetes, please give us a call at 412-231-2957 or contact your doctor directly. Remember, diabetes can be prevented!